Not hoo-hoo, but pronounced "Way-Way-tenango". Located in the central highlands of Guatemala, the state of Huehuetenango produces some of the finest coffees of Central America. This is a washed coffee and the beans are a waxy blue-ish color. Cultivated at an elevation of 5,000 feet and higher, Huehue is a coffee offering a crisp, bright acidity with balance, smooth, medium body with a hint of spice or orange-peel fruitiness. Even a tinge of nut....NICE!! This one has some of the most solid, quality cup character to offer this year from Guatemala ...it has the chocolate and spicy flavors of a true Antigua ...and a very good one at that. 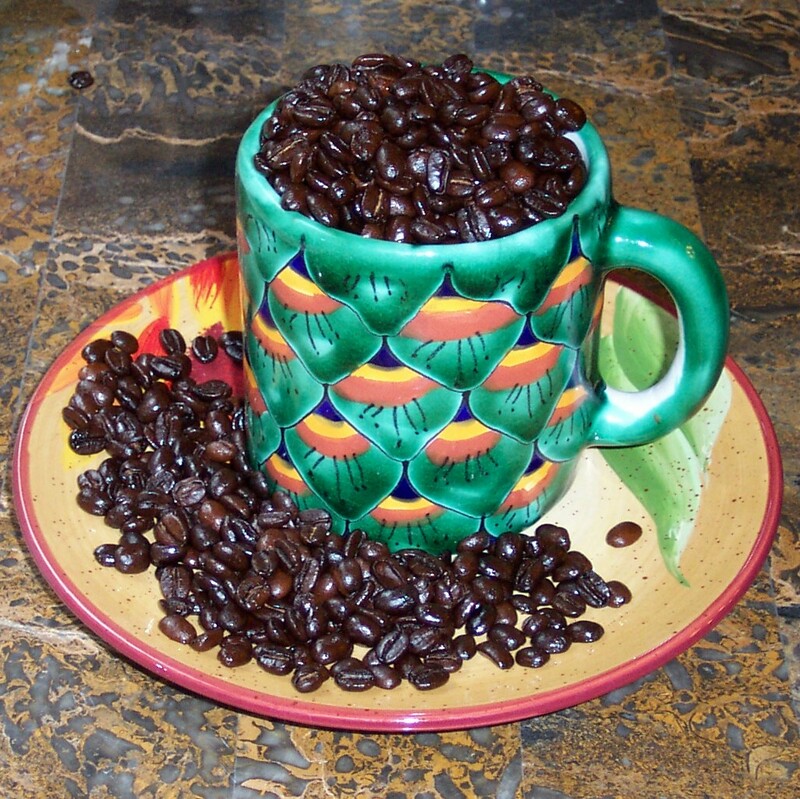 The highest grade of Guatemala coffee is Strictly Hard Bean (SHB). The regionally designated coffees (Antigua, Atitlan, Cobán, etc) are tasted and approved as meeting flavor profile criteria established for these regions by ANACAFE, the Guatemalan coffee association. Those coffees that do not meet regional flavor profile criteria are only allowed to be sold as Strictly Hard Bean without regional designation.